Treats run-off water in seconds. Simple and easy “plug-and-play” usage. 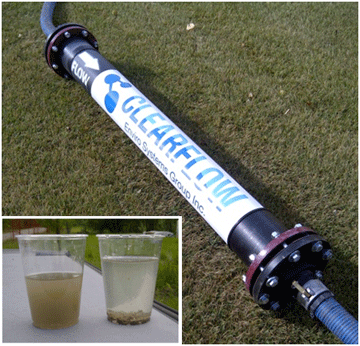 ClearFlow ™ Bazooka is the latest innovation in portable treatment systems for dewatering. This product meets all the regulatory requirements and can turn run-off water into “Clearflow” in just a matter of seconds. The Bazooka is capable of treating 150 gallons per minute in any environment. To begin the process, all you need to do is provide is with a sample of the water you want to treat and we’ll design a specific treatment solution for you.